so tyll has been going crazy over the bakoon for planars. well there are a lot of things i don't like about that amp, especially the battery power and distortion. Nice! This is really interesting. I'm going to have to add it to the list. That's really cool! Kind of looks like an AD844. Would the cascode (Q1/Q2) be happier with more voltage drop than D1? The BC546/556 have some weird curves and don't saturate as quickly as something like the BC337/327. don't see any difference with an extra diode in the synthesis. 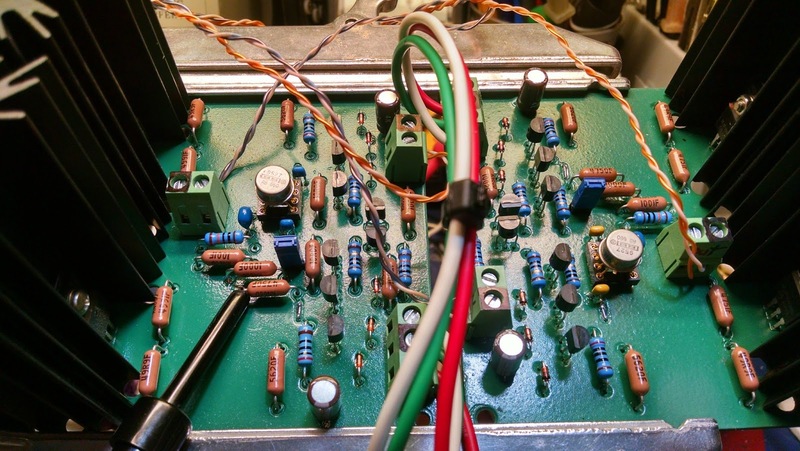 Well, not really crazy about the Bakoon as much as I am intrigued by current source amps and how they might provide benefits over voltage amps. Glad to see you working on it, Kevin. I'll get you those measurements you want within a day or two. Pity the AC only goes to 10kHz. Congo5 has a working board now. I built the CFA2 a while back and am very happy with it, its great for the HE-500 I have, and works really well with the loaner planars I've managed to test it with (PM2, LCD-X). Guess I have to build this one as well and compare Any major differences to be expected in performance? for planar ortho's with an impedance of 50 ohms,this amp really shines. with 30V supplies, does 2 watts pure class A into 50 ohms with a thd of about .03% which is much better than the bakoon does. for hd800, all it does is accentuate the frequency response issues. Sounds exactly like what I need! If powering this from GRLV, what components other than the opamps need higher voltage rating to stay intact at 30V? Is this amp able to drive desktop speakers? What's up with people thinking that any headphone amp will work at driving speakers? Some will output sound but that's about it. Also on other site... under my profile are pictures, also not much to see as they are not pretty, but they do work. I use an homemade CNC to route boards. I completely agree, Its a Great amp. My Firstwatt F5 headphone amp drives smaller speakers just fine. a F5 is a much bigger amplifier, 20 watts into 8 ohms. If you want a transconductance amp, F1 or F1J both of which really like very low impedances and have significantly higher thd. Ooo, looks like a great winer project. Ooo, looks like a great winTer project. looking forward to hearing what you think of it! Its different than the CFP2, I like both a lot..
drinking 1994 BV George's de latour now. Now that sounds like a much better project!